FQHC Qualified — Spectrum Health Services, Inc. Spectrum Health Services, Inc. is a Federally Qualified Health Center (FQHC), a non-profit community based health organization. A FQHC provides comprehensive primary care, dental and mental health services to persons in all stages of the life cycle. The center also assists patients to access specialty and hospital care services not available at the center. Spectrum operates under a Board of Directors comprised of at least 51% of SHS patients and functions under the supervision of the Bureau of Primary Health Care. FQHCs were originally created to provide comprehensive health services to the medically underserved to reduce the patient load on hospital emergency rooms. They now bring primary health care services to the underserved, underinsured and uninsured people of the United States including migrant workers, and non-citizen visitors and guests. 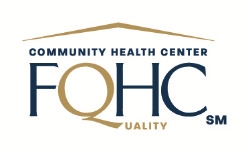 FQHCs are typically located in areas where there are not enough physicians to serve the community and/or where existing clinical providers are not accessible to the underserved populations. FQHCs are not free clinics but do provide their services to all persons regardless of ability to pay. FQHCs charge their services on a sliding-fee scale that is based on the patient’s family income and size. Spectrum Health Services is a Health Center Program grantee under 42 U.S.C. 254b and a deemed Public Health Service employee under 42 U.S.C. 233(g)-(n).